Who decides how the Green River flows? The white hue characterizing the mob of identical government-issued SUV’s in the parking lot of the Carbon County Event Center is the same color sandstone turns as it emerges from the depths of a dropping reservoir, a phenomenon called the “bathtub ring.” Intense drought is reducing snowpack runoff in the Colorado River Basin, consequently, coordinating reservoir operations has become more nuanced in the past decade. It’s also part of the reason why so many people traveled to Price, Utah on a snowy March day. Employees of the federal U.S. Fish and Wildlife Service, Bureau of Reclamation, National Park Service; and folks representing rafting companies, anglers, non-profits, and land owners all crowded into a small room around a U-shaped table. Bureau of Reclamation was facilitating a Flaming Gorge Working Group meeting to discuss this year’s reservoir operational schedule and listen to proposals from different stakeholder groups regarding the timing, magnitude, and duration of how water should be released from the colossal Flaming Gorge Dam on the Green River in Utah. Flaming Gorge is the second major dam on the Green River and regulates the flow of diverse sections from the tailwater trout fishery to the Gates of Lodore, a highly-coveted permitted section with breathtaking red canyons and formidable whitewater through Dinosaur National Monument where the Green meets the free-flowing Yampa River. Further downstream the Green travels through Desolation and Grey Canyons, a favorite river trip for many river runners. The current Flaming Gorge operational plan ultimately aims to benefit habitat for endangered fish downstream. Spring peak flows range from 4,600 cubic feet per second (cfs) to 8,600 cfs depending on annual hydrologic conditions (wet, average, dry, etc.) The Upper Colorado River Endangered Fish Program operated by the U.S. 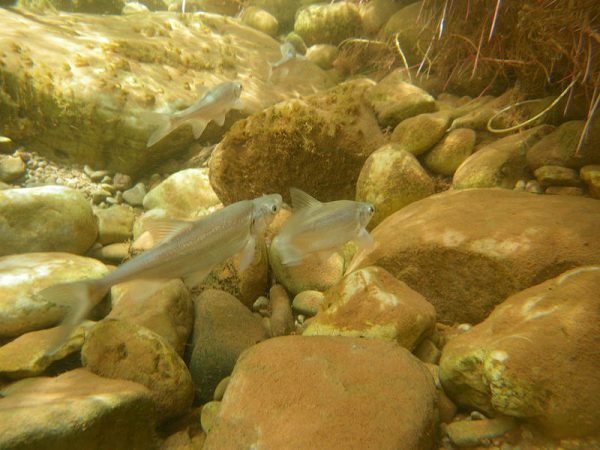 Fish and Wildlife Service recommends the timing, magnitude and duration of flows critical for juvenile razorback sucker habitat, one of the four endangered fish in the Colorado River Basin. The Recovery Program consultation ensures compliance for the Endangered Species Act, and Flaming Gorge flow regimes since 2012 have been “hugely successful” in sustaining wild juvenile fish as per the 2018 Recovery Program RIP RAP. The first group called the “Green River Stakeholders” are comprised of individuals from “communities, governments and businesses that work or reside along the Green River who are all adversely affected by the current methods employed . . . by the Bureau of Reclamation.” This group claims spring peak flows degrade private agricultural lands, harm fly fishing outfitters by “blowing-out” water and reducing business, create dangerous scenarios for whitewater rafting, and for flooding the town of Green River Utah in 2011. This coalition essentially wants to see reduced peak flows and sustained winter and summer flows instead – in a sense “flatlining” the hydrograph and removing flow variability. In lieu of flooding natural floodplains for razorback sucker habitat, they propose utilizing private agricultural lands to rear endangered fish – yet science does not exactly back this up – the whole point is to allow razorback suckers to become self-sustaining in the wild. Claims that flooding in Green River, Utah in 2011 were attributed to releases from Flaming Gorge is easily rebuked when you look at the substantial flows from the Yampa, White, and Duchesne Rivers. Flaming Gorge releases were a mere fraction of the over 40,000 cfs that flooded lands and imaging a scenario without Flaming Gorge Dam in the first place paints an even worse picture for private landowners, as ultimately the Dam prevents serious flooding. A second stakeholder group from the Whitewater Boating community voiced support for the current operational plan. This group is comprised of commercial river outfitters (Holiday included! 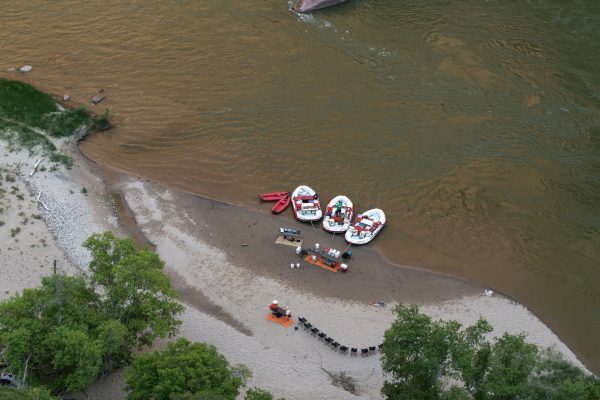 ), private users and individuals who utilize recreational opportunities along the Green River. Environmental NGOs such as Living Rivers and the Colorado Riverkeeper also voiced their support for peak flows. 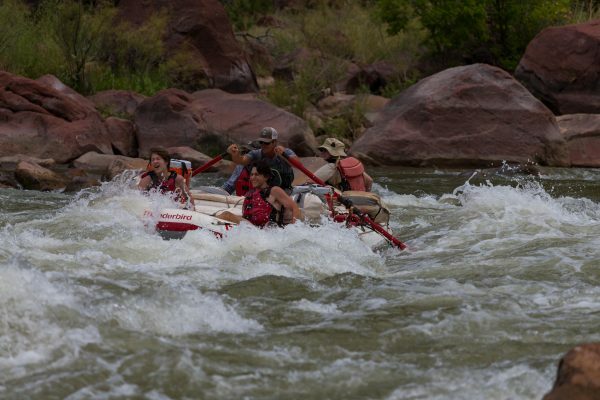 Contradictory to the previous group, these folks enjoy high flows because they provide crucial ecological benefits and provide excitement for whitewater rafting. Both groups agreed however that sustaining mid-range flows into August would be beneficial for recreation. At Holiday, we understand that natural flows foster biodiversity and are a critical factor in maintaining rivers where we recreate. Un-dammed rivers in the West peak in the spring when snow is melting and inundate floodplains, move sediment crucial for fish habitat and maintain pristine sandy beaches. 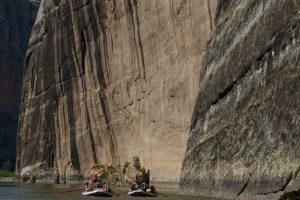 That variability is critical in preserving healthy and diverse river ecosystems, therefore, operating the dam to somewhat mimic natural flows is important for the entirety of the Green River. When the same amount of water is always going down a river it becomes channelized, beaches disappear, and habitat complexity for fish declines. A major aspect of going on a river trip is to witness a wild, natural environment, not a man-made amusement park ride. At the end of the day, a rancher part of the Green River Stakeholders remarked: “we’re all way more on the same page than different pages,” which speaks to the importance of collaboration and transparency. The Recovery Program was able to answer questions as to the progress of endangered fish and stakeholders felt as if their concerns were listened to. 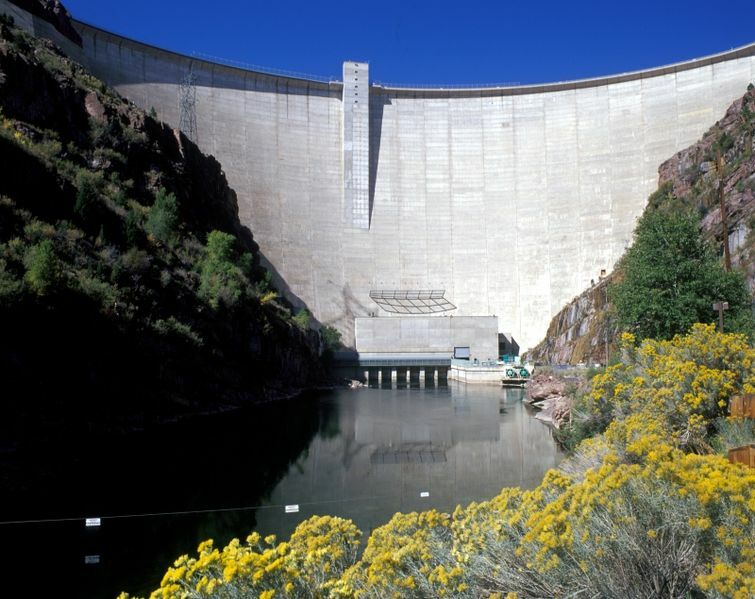 A second meeting will occur in April where the Bureau of Reclamation will present the final 2019 operating plan, so stay tuned. Rica Fulton is from beautiful southwest Colorado and was raised in the canyon walls of the Colorado River Basin. 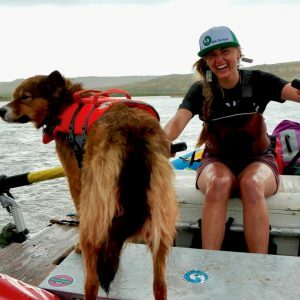 She enjoys rowing boats, laughing, reading books, getting lost outside and writing about rivers and public lands in the West.